The same individual . . . just a different angle. 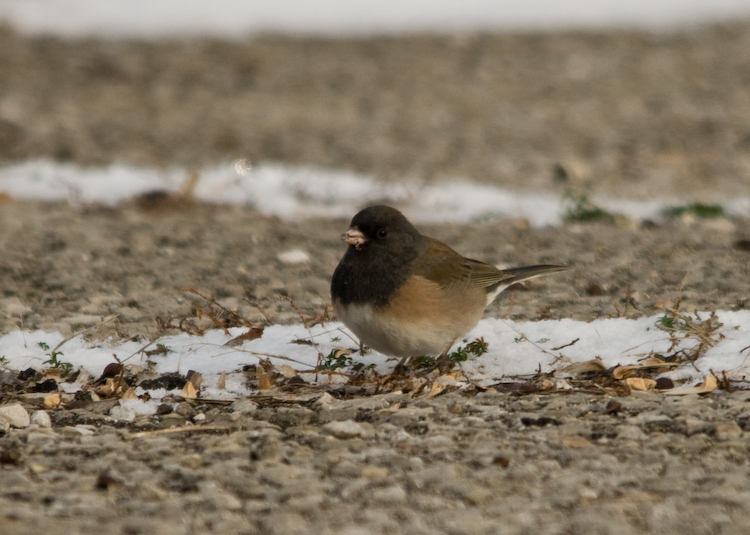 This Oregon type junco was a nice surprise for me today while birding around Lake Monroe. It was the first day I had been able to bird the lake since before Christmas break started and a great way to start the birding year in Indiana. 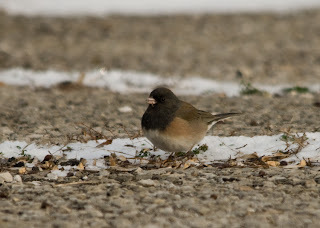 There were also 50+ Cardinals, 75+ Slate-colored Dark-eyed Junco, a few White-throated and Tree Sparrows, as well as a single adult White-crowned Sparrow. 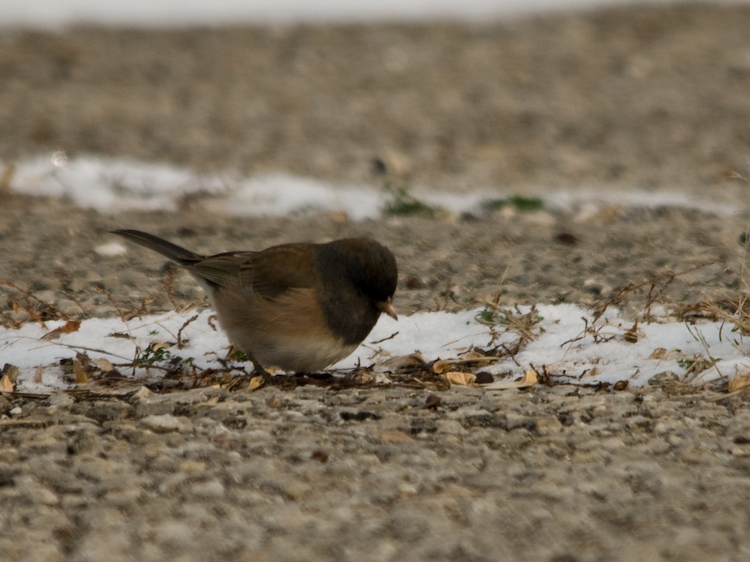 Cool to see my regular juncos being the different bird where you are, and your slate-colored juncos being the extra special juncos here in Utah. Yeah Robert really said it. I'm hoping to see some Yellow-Eyed Juncos soon. Given the wide distribution of the Oregon race in the western U.S., I wonder why it was Oregon that got its namesake on the bird?